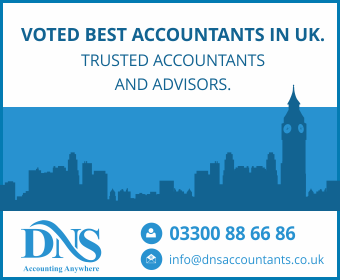 DNS Accountants has a team of experienced and expert accounting and taxation professionals in Haslemere that help businesses across a variety of industries keeping their financial affairs in order. These services range from simple accounts for sole-trader to management of accounts for limited companies. Preparing and filing annual tax return is a legal obligation for individuals and businesses and depending upon the financial and individual circumstances the credentials can vary. We provide services designed to take away the hassle of dealing with taxes by providing a personal service customised to the needs of the individual. Additionally, we help companies with preparation of annual returns and we ensure deadlines are met and the correct amount of tax is paid. Identifying the tax allowances and reliefs isn’t easy, with numerous rules and regulations in the UK tax law. DNS Accountants in Haslemere devote time and help businesses understand the best approach to minimise the tax exposure. Our approach forever is to be down-to-business and recommend planning that suits the business circumstances. DNS Accountants provides efficient and reliable bookkeeping service to allow business owners to focus on strategic business decisions. Quality bookkeeping ensures that businesses have precise information which is helpful in making VAT compliance easier. To further help businesses we also provide management accounts services in Haslemere that help businesses to make decisions for the future. DNS Accountants assist sole traders and partnerships with capital allowance planning to ensure that they receive the correct tax and accountancy treatment to maximise savings; provide partnership tax advice to make certain that partnership agreements are in place and appropriate profit allocations are included. At DNS, we remove the headache of payroll from our clients by doing the complete process for them at a very cut-throat price. Our cloud-based accounting software is well acquainted to perform speedy payroll services keeping the business compliant with UK tax and accounting rules and regulations. The Construction Industry Scheme (CIS) can be a dreadful for contractors and sub-contractors and the probability for compliance is very high for both. We assist them with gross payment status applications, scheme registration, employment status enquiry, and submission of monthly returns.